iOS & ANDROID EXPERTISE WITH GLOBAL EXPERIENCE. 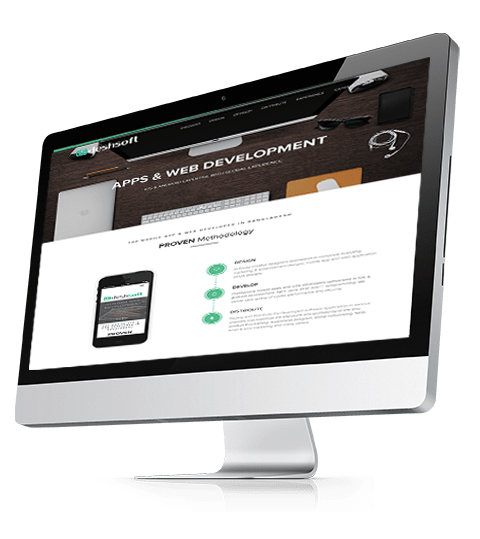 We Develop custom web application in the past 5 years using php, asp.net, java and any other New Technologies out there. DeshSoft can custom-build the web application to your specified need efficiently and deliver with best quality possible. Off the Shelf and On Demand. deshsoft,desh soft,top mobile apps developer in bangladesh,ERP Developer Company,ERP Developer Dhaka,ERP Developer Bangladesh,ERP Developer World ERP Company Company,ERP Company Dhaka ERP Company Bangladesh,ERP Company World,ERP Solutions Company,ERP Solutions Dhaka,ERP Solutions Bangladesh,ERP Solutions World,ERP Software Company,ERP Software Dhaka,ERP Software Bangladesh,ERP Software World,Web Developer Company,Web Developer Dhaka,Web Developer Bangladesh,Web Developer World,Web Company Company , Web Company Dhaka, Web Company Bangladesh, Web Company World , Web Solutions Company, Web Solutions Dhaka, Web Solutions Bangladesh, Web Solutions World,Web Software Company,Web Software Dhaka,Web Software Bangladesh,Web Software World,Apps Developer Company,Apps Developer Dhaka,Apps Developer Bangladesh,Apps Developer World,Apps Company Company,Apps Company Dhaka,Apps Company Bangladesh,Apps Company World,Apps Solutions Company,Apps Solutions Dhaka,Apps Solutions Bangladesh,Apps Solutions World,Apps Software Company,Apps Software Dhaka,Apps Software Bangladesh,Apps Software World,deshERP Developer Company,deshERP Developer Dhaka,deshERP Developer Bangladesh,deshERP Developer World,deshERP Company Company,deshERP Company Dhaka,deshERP Company Bangladesh,deshERP Company World,deshERP Solutions Company,deshERP Solutions Dhaka,deshERP Solutions Bangladesh,deshERP Solutions World desh,ERP Software Company desh,ERP Software Dhaka,deshERP Software Bangladesh,deshERP Software World,eCommerce Developer Company,eCommerce Developer Dhaka,eCommerce Developer Bangladesh,eCommerce Developer World,eCommerce Company Company,eCommerce Company Dhaka,eCommerce Company Bangladesh,eCommerce Company World,eCommerce Solutions Company,eCommerce Solutions Dhaka,eCommerce Solutions Bangladesh,eCommerce Solutions World,eCommerce Software Company,eCommerce Software Dhaka,eCommerce Software Bangladesh,eCommerce Software World,SEO Developer Company, SEO Developer Dhaka,SEO Developer Bangladesh,SEO Developer World,SEO Company Company,SEO Company Dhaka,SEO Company Bangladesh,SEO Company World,SEO Solutions Company, SEO Solutions Dhaka,SEO Solutions Bangladesh,SEO Solutions World,SEO Software Company,SEO Software Dhaka,SEO Software Bangladesh,SEO Software World,Online Marketing Developer Company,Online Marketing Developer Dhaka,Online Marketing Developer Bangladesh,Online Marketing Developer World,Online Marketing Company Company,Online Marketing Company Dhaka,Online Marketing Company Bangladesh,Online Marketing Company World,Online Marketing Solutions Company,Online Marketing Solutions Dhaka,Online Marketing Solutions Bangladesh,Online Marketing Solutions World,Online Marketing Software Company,Online Marketing Software Dhaka,Online Marketing Software Bangladesh, Online Marketing Software World,Top ERP Developer Company,Top ERP Developer Dhaka,Top ERP Developer Bangladesh,Top ERP Developer World,Top ERP Company Company,Top ERP Company Dhaka,Top ERP Company Bangladesh,Top ERP Company World,Top ERP Solutions Company,Top ERP Solutions Dhaka,Top ERP Solutions Bangladesh,Top ERP Solutions World, Top ERP Software Company,Top ERP Software Dhaka,Top ERP Software Bangladesh,Top ERP Software World,Top Web Developer Company,Top Web Developer Dhaka,Top Web Developer Bangladesh,Top Web Developer World,Top Web Company Company,Top Web Company Dhaka,Top Web Company Bangladesh,Top Web Company World,Top Web Solutions Company,Top Web Solutions Dhaka,Top Web Solutions Bangladesh,Top Web Solutions World,Top Web Software Company,Top Web Software Dhaka,Top Web Software Bangladesh,Top Web Software World,Top Apps Developer Company,Top Apps Developer Dhaka,Top Apps Developer Bangladesh,Top Apps Developer World,Top Apps Company Company,Top Apps Company Dhaka,Top Apps Company Bangladesh,Top Apps Company World,Top Apps Solutions Company,Top Apps Solutions Dhaka,Top Apps Solutions Bangladesh,Top Apps Solutions World,Top Apps Software Company,Top Apps Software Dhaka,Top Apps Software Bangladesh,Top Apps Software World,Top eCommerce Developer Company,Top eCommerce Developer Dhaka,Top eCommerce Developer Bangladesh,Top eCommerce Developer World,Top eCommerce Company Company,Top eCommerce Company Dhaka,Top eCommerce Company Bangladesh,Top eCommerce Company World,Top eCommerce Solutions Company,Top eCommerce Solutions Dhaka,Top eCommerce Solutions Bangladesh,Top eCommerce Solutions World,Top eCommerce Software Company,Top eCommerce Software Dhaka,Top eCommerce Software Bangladesh,Top eCommerce Software World,Top SEO Developer Company,Top SEO Developer Dhaka,Top SEO Developer Bangladesh,Top SEO Developer World,Top SEO Company Company,Top SEO Company Dhaka,Top SEO Company Bangladesh,Top SEO Company World,Top SEO Solutions Company,Top SEO Solutions Dhaka,Top SEO Solutions Bangladesh,Top SEO Solutions World,Top SEO Software Company,Top SEO Software Dhaka,Top SEO Software Bangladesh,Top SEO Software World,Leading ERP Developer Company,Leading ERP Developer Dhaka,Leading ERP Developer Bangladesh,Leading ERP Developer World,Leading ERP Company Company,Leading ERP Company Dhaka,Leading ERP Company Bangladesh,Leading ERP Company World,Leading ERP Solutions Company,Leading ERP Solutions Dhaka,Leading ERP Solutions Bangladesh,Leading ERP Solutions World,Leading ERP Software Company,Leading ERP Software Dhaka,Leading ERP Software Bangladesh,Leading ERP Software World,Leading Apps Developer Company,Leading Apps Developer Dhaka,Leading Apps Developer Bangladesh,Leading Apps Developer World,Leading Apps Company Company,Leading Apps Company Dhaka,Leading Apps Company Bangladesh,Leading Apps Company World,Leading Apps Solutions Company,Leading Apps Solutions Dhaka,Leading Apps Solutions Bangladesh,Leading Apps Solutions World,Leading Apps Software Company,Leading Apps Software Dhaka,Leading Apps Software Bangladesh,Leading Apps Software World,Leading Web Developer Company,Leading Web Developer Dhaka,Leading Web Developer Bangladesh,Leading Web Developer World,Leading Web Company Company,Leading Web Company Dhaka,Leading Web Company Bangladesh, Leading Web Company World, Leading Web Solutions Company, Leading Web Solutions Dhaka, Leading Web Solutions Bangladesh,Leading Web Solutions World, Leading Web Software Company ,Leading Web Software Dhaka, Leading Web Software Bangladesh,Leading Web Software World, Leading eCommerce Developer Company,Leading eCommerce Developer Dhaka, Leading eCommerce Developer Bangladesh, Leading eCommerce Developer World, Leading eCommerce CompanyLeading SEO Solutions Bangladesh, Leading SEO Solutions World, Leading SEO Software Company ,Leading SEO Software Dhaka, Leading SEO Software Bangladesh ,Leading SEO Software World ,Best ERP Developer Company ,Best ERP Developer Dhaka, Best ERP Developer Bangladesh, Best ERP Developer World, Best ERP Company Company ,Best ERP Company Dhaka, Best ERP Company Bangladesh, Best ERP Company World, Best ERP Solutions Company ,Best ERP Solutions Dhaka, Best ERP Solutions Bangladesh, Best ERP Solutions World ,Best ERP Software Company, Best ERP Software Dhaka, Best ERP Software Bangladesh. In-house creative designers specialized in corporate branding, marketing & advertisement designs, mobile app and web application UI/UX designs. Professional mobile apps and web developers specialized in iOS & Android development, .NET, Java, PHP, C/C++, programming. We deliver best quality of codes performance and security. Deploy and Distribute the developed software application in various channels that maximize the exposure and profitability of the end product thru training, awareness program, social networking, SEO, email & sms marketing and many others. 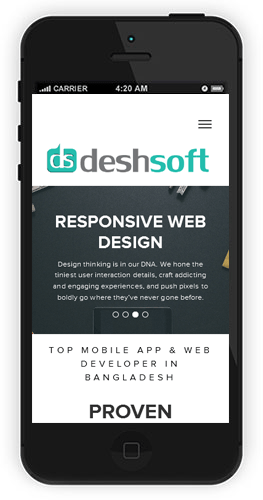 Deshsoft has more than 5 Years mobile apps & web development project experience. Deshsoft are serving clients from different countries and our development centers are based in Bangladesh, Malaysia, Japan and India. Deshsoft has more than 5 years hands-on project experience in mobile app and web development. Deshsoft embraced the latest technology and development approach to optimize the quality of work. All deliverable are well tested to ensure high quality in performance and security. Deshsoft forte is to deliver quality work on time and on budget in multiple country location and multi-lingual environment.